One of the most important factors in hospitals or any healthcare environment is hygiene. We’re all familiar with the scares about MRSA and anyone who has visited a hospital in the UK in the last 5 years will have noticed that every doorway and waiting room is equipped with sanitising alcohol gel. It should come as no surprise then that every part of the construction and aesthetics of hospitals needs to be as hygienic as possible. Hospital flooring, which is in constant contact with doctors, patients and visitors, needs to be able to be easily cleaned in order to maintain good hygiene and prevent unnecessary germs spreading infections. 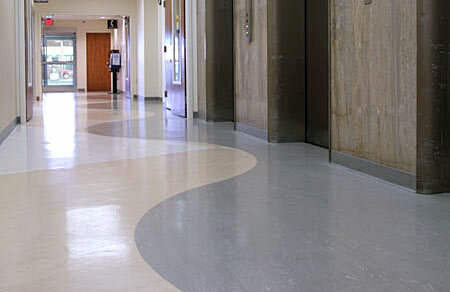 One of the easiest ways to do that is to use vinyl flooring throughout the hospital. There are many benefits to using vinyl flooring, such as the safety that comes with not having corners to trip on or worn spots in the walkway, the ease of cleaning when spills do occur, and the sterility that it provides on a daily basis with proper cleaning maintenance. Use a professional firm that have experience at fitting hospital and healthcare flooring. If you are unsure about the firms experience then it may also be wise to ask for trade recommendations or show examples of previous hospital floors they have fitted. 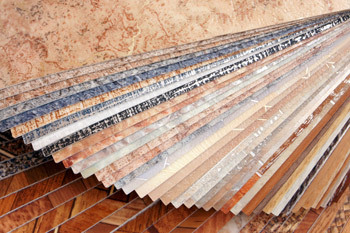 Ask any potential floor fitters to provide samples of the flooring material they are quoting for. 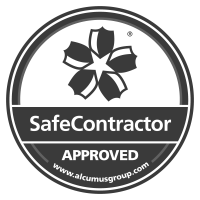 Make sure that both the company and any staff or subcontractors are CSCS certified. Ask the floor fitters if and what guarantees they offer with their work and materials. Alliance Flooring tick all the boxes above and are happy to show examples of their work. Hygiene flooring accounts for a large part of the work we undertake and trade references are not a problem. 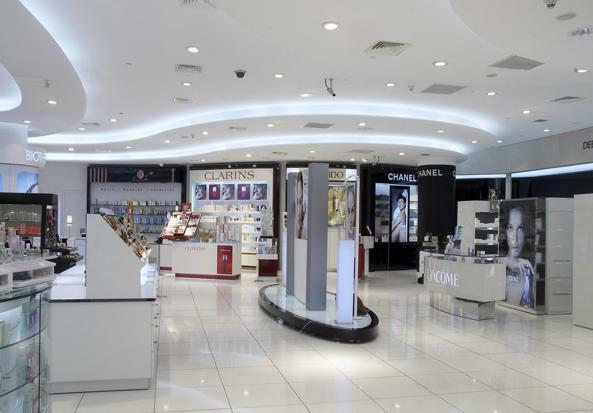 Safety floors are important when it comes to commercial flooring regardless of the industry. They provide assurance that there are not going to be any unnecessary injuries when they are cared for properly, and vinyl floors are designed to withstand a huge amount of traffic. 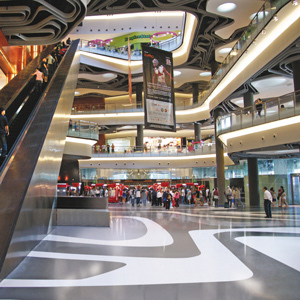 Therefore there is no wearing down of the floors in the most frequented places. When they are used in these kinds of industries, whether it is in a hospital, commercial kitchens or schools, they are often referred to as safety flooring because of the safety that it provides on a daily basis. Safety flooring gives managers and supervisors peace of mind when it comes to their employees and patients, who often have a high risk of injury regardless of the kind of flooring that you use. This makes it even more important to use a floor covering that provides the most safety options. When fitted correctly it has no cracks or seems to catch dirt or germs. Edges are easily fitted with cover formed corners, again avoiding nucks and crannies for bacteria. Easily cleaned using and number of heavy duty sanitising chemicals. 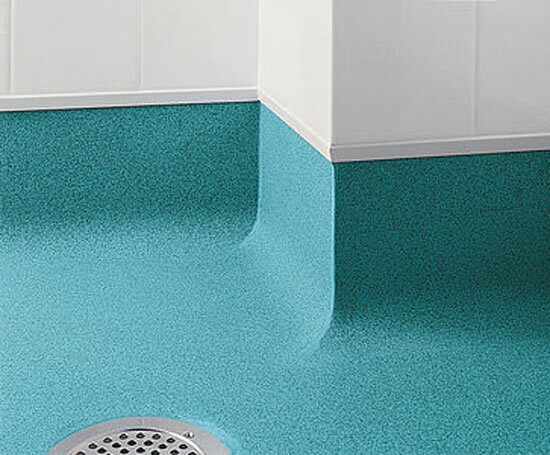 Cap and coved, or cove formed skirting is another feature of vinyl sheet flooring that make it so ideal for use as hygiene flooring. Rather than having seems and area’s for bacteria to hide and breed the flooring is often fitter up the wall. It can be extended anywhere from 3 inches to 3 foot but the most important point if that dirt and germs on the floor will not be swept towards corners and seems that are difficult and even impossible to get completely clean. 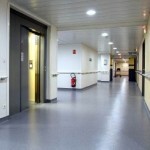 Hospital vinyl flooring also provides easy care and avoids accidents happening. Hospitals are a place where there are spills and even bodily fluids are more likely to end up where they shouldn’t be. Hygiene flooring is something that has to be considered when they the floor layout is designed. Hygiene floors provide easy cleaning abilities so that there is no waiting, other than the time that it takes for them to air dry, and there is no need to worry about unsightly stains from unexpected spills. Installing vinyl floors allows the use of proper chemicals for cleaning to make the floors more sterile, unlike many other flooring types that are easily damaged by cleaning liquids. Although there is no need to eat off of the floors, hospital floors carry germs than can cause infection if they are not cleaned properly, and the risk of infections and the spreading of diseases increases without flooring that is easily sterilized for the next patient that comes in. Vinyl flooring can be used in any situation, whether it is for a domestic kitchen or a commercial building, and it can be installed using large sheets or smaller tiles of vinyl. Depending on which of these forms you choose the overall look that you achieve will be different. Healthcare flooring is often laid as a solid sheet so that there is no need to worry about loose tiles causing accidents, but square tiles may be used in areas of the hospital that do not see as much foot traffic for a change of the overall look. Regardless of how you wish the vinyl flooring to be installed, the benefits of hospital vinyl flooring are sure to last for the life of the vinyl itself. Installation of full sheets of vinyl often requires heat weld at the joins in order to provide more resilience and durability. This can also provide additional safety so that there is no worry about the corners coming up and causing falls. 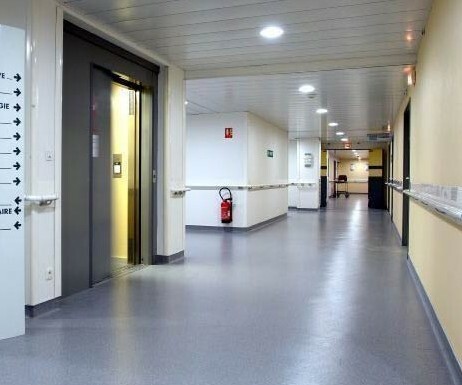 Hospital flooring is one of the most obvious areas where we come into contact with safety floors, in addition to schools and other commercial buildings, which is why vinyl is often referred to as safety flooring. Special consideration is also given to the installation process so that there is no need to worry about the unexpected happening, and cleaning any mess is a breeze. Regardless of where you are, flooring is one of the most important factors in the overall look of a room. 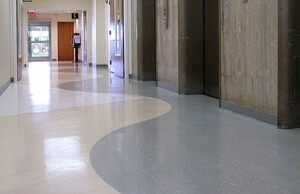 Each area has different needs, and hospital flooring is no different but that does not mean to say it has to be boring. Alliance Flooring offer a broad range of colours and designs from a number of high quality flooring manufacturers including Polyflor, Altro, Amtico and Karndean. Although there are some other choice for hospitals Alliance Flooring recommend that vinyl sheet floors are considered as the premium choice when you are deciding on hospital flooring. It can be used in all areas including waiting rooms, corridors and surgeries. It is an option that excels in areas of high foot traffic. There is no need for high maintenance of the floors as long as they are being cleaned properly, and with proper installation there is no need to worry about patient falls from loose corners that can often cost much more money than the vinyl floor covering itself. 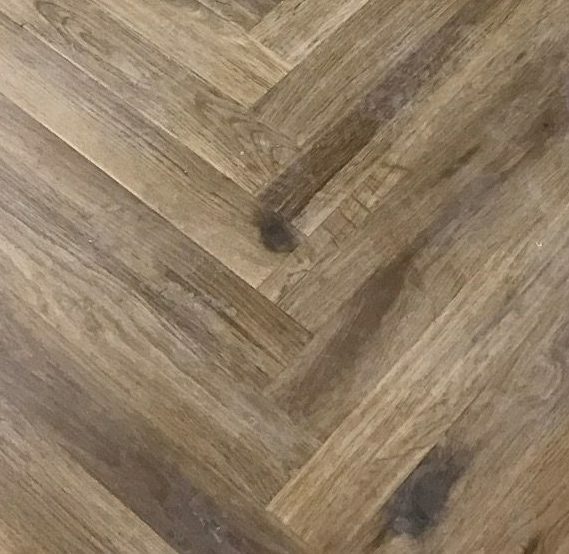 For a free flooring quote or advice on what options there are please get in touch with one of the team at Alliance Flooring. We don’t employ pushy sales people and are only too happy to offer advice without any obligation.